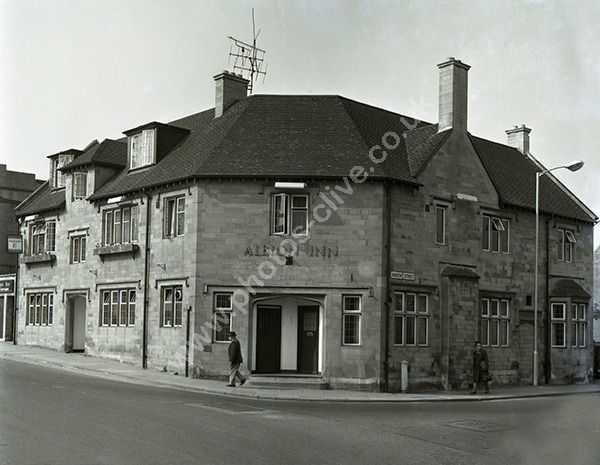 The Albion Inn on the corner of Vincent Street in Yeovil in around 1974. The pub was demolished in 1982. For commercial use of this photograph please visit www.alamy.com and search for AEE48H but for a one off print, please see below.